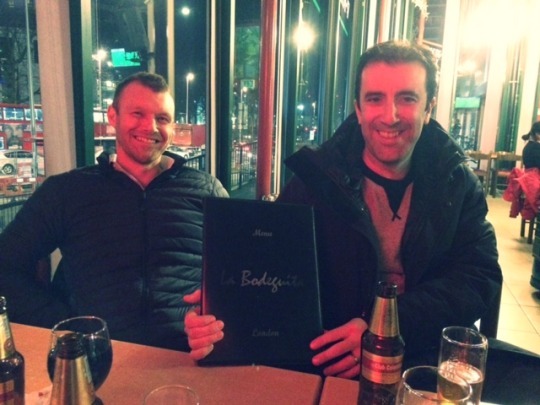 In January we paid a visit to La Bodeguita Restaurant in the shopping centre at Elephant and Castle for a taste of Columbian cuisine. This was a mixed experience! The old shopping centre will be demolished in 2018 and obviously hasn’t had anything done to it in years for this reason. The whole area will be transformed in the coming years, but for now the restaurant reflects this and was also very cold – we were wearing out coats for most of the meal. Once we had got the owner interested in serving us, he was extremely helpful and friendly. 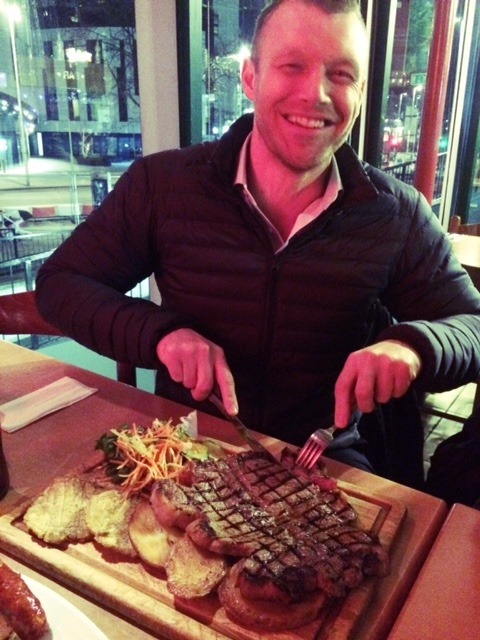 The mains came with a glass of wine and he recommended the Churrasco Argentino steak (450g/ £18.95) which was huge and very tasty (and the traditional Columbian dish Bandeja Paisa (£13.99), which included rice, pork belly, beans, minced beef, fried egg, cornbread (cardboard like), sausage, avocado and fried yellow plantain. This was a bit more mixed. The starters had included empanada, chorizo, chicharron con arepa (pork belly). After our mains, we were given a complementary bowl full of off cut meats with lemon slices on top…. which was generous if a little strange and probably unneeded given the amount of meat we had just consumed! Desserts were all freezer fare and there were no Columbian specialities to try. 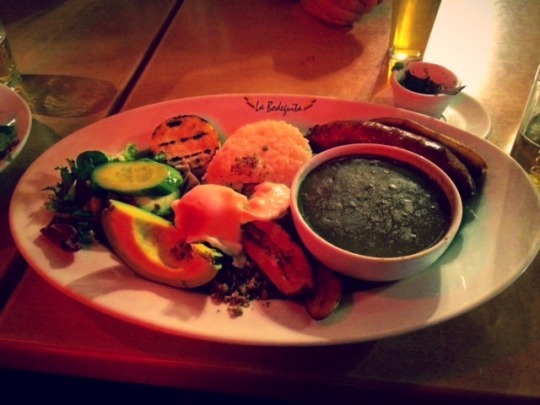 Update: We understand that there is a good Columbian in Brixton that is excellent and could be a good alternative.